This is another more unusual one..this is Shelley Pikes Seeley framed Ducati . 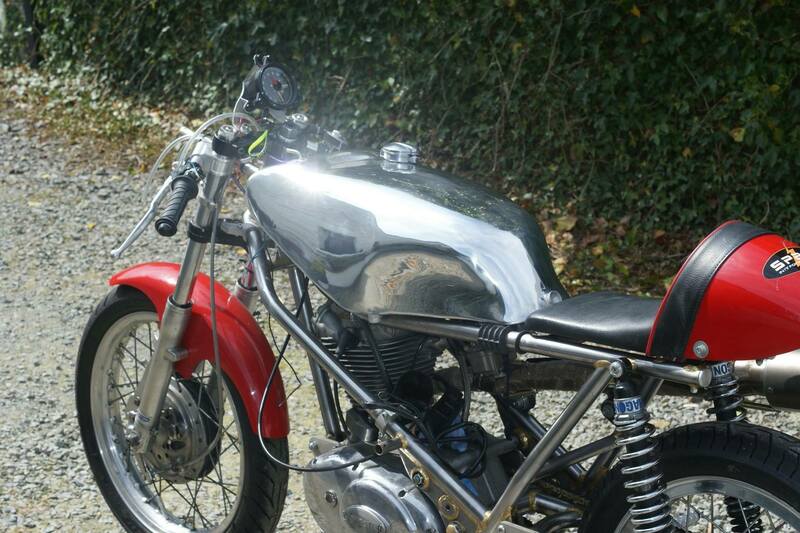 Shelly needed an extra capacity tank so she can compete in the forthcoming Classic TT at the IOM. We toyed with the idea of a “Rob North” shaped tank or maybe a more classic Seeley shape but in the end we decided on an oversized TT2 tank. In the end we managed to somehow get 19lts which is pretty much bang on to what we were hoping. Cant wait to see the completed bike on the Island at the end of August.